NRG Steering Wheel - Two Button Style UNIVERSAL - Lesher Motorsports, Inc.
NRG Steering Wheel – Two Button Style provides the best in both quality and styling. Many different sizes and designs available from classy smooth luxury leather with red stitch to 3 in. 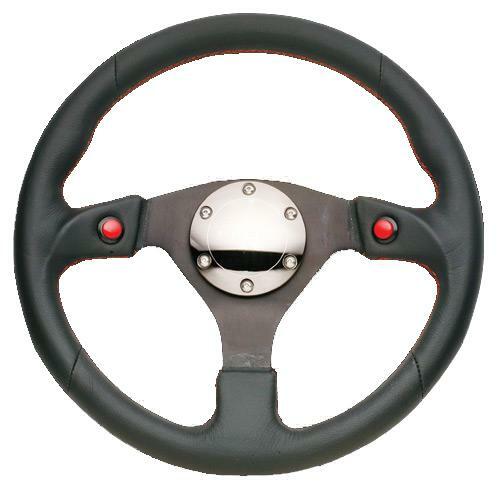 deep dish suede steering wheels for maximum control, NRG steering wheels are sure to give your vehicle that extra edge of control and styling.